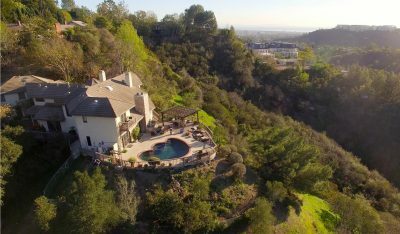 Welcome to Sarm West Coast LA, where nestled in the hills of Bel Air you will find our 6 bedroom house and state of the art recording studio. With expansive views over canyons, mountains and the ocean beyond, this is any writers dream. Minutes from Beverly Hills, Santa Monica and of course Sunset Boulevard, this luxurious property exudes taste, style and California living at it’s very best. When not in the studio, the house has a private heated swimming pool, a Bosendorfer Grand Piano, a large dining room and easy driving access to all Los Angeles has to offer. The centrepiece of the spacious control room is a 24-channel Solid State Logic AWS924 console, with full SSL AWSomation and DAW control. Monitoring is via industry standard Yamaha NS10 monitors and Question Custom Main Monitors + 3 Subs. As well as an abundance of natural daylight, there is a door leading directly to the stunning rear terrace, with pool and outdoor fireplace. The control room benefits from direct views into the generous vocal booth from the control room via fully acoustically isolated glass. Kitted out with the very best of analogue compression and EQ from Tube-Tech, Urei, GML, DBX. A top-of-the-line Pro Tools HD rig runs Pro Tools 10 and Logic Pro X, with a variety of plugins from Waves (Diamond), Antares and Synchro Arts. A substantial vintage microphone collection compliments the incredible array of boutique instruments owned by legendary record producer Trevor Horn. Under Trevor’s ownership, the studio has seen him work with artists such as: Pet Shop Boys, Art of Noise, Seal, Rod Stewart, Coyote Ugly, Tom Jones, Tina Turner, t.A.t.U., Belle & Sebastian, and many more! Great for recording, incredibly accurate for mixing and an inspiring location for writing; Sarm West Coast is the ultimate residential studio for discerning clients seeking the best in comfort and creativity.